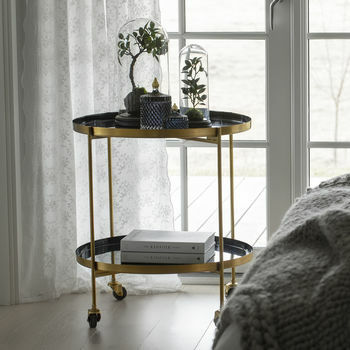 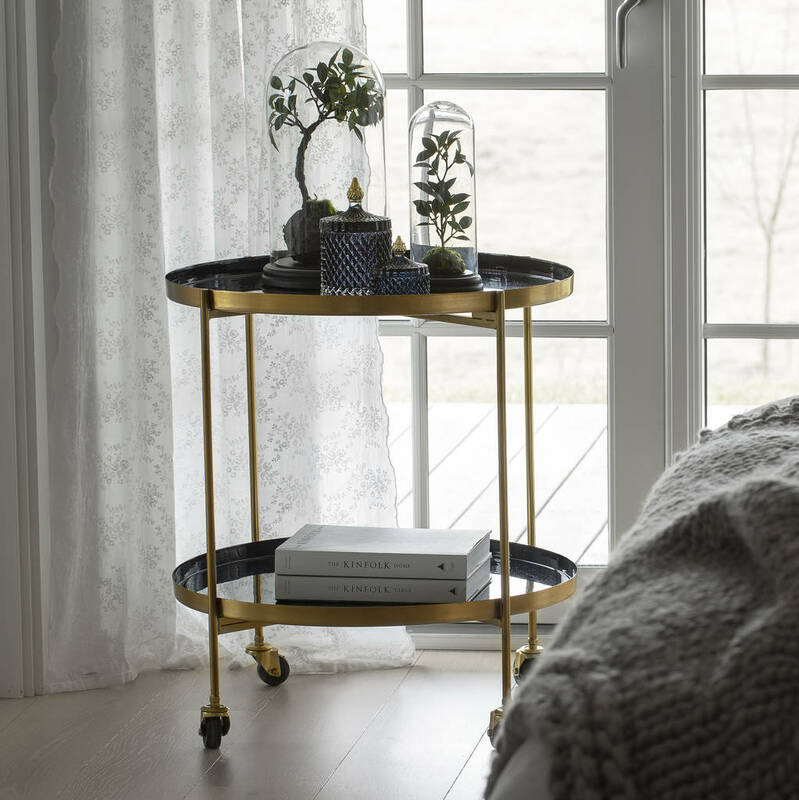 Display your favourite drinks and glassware on our gorgeous Nara bar cart. 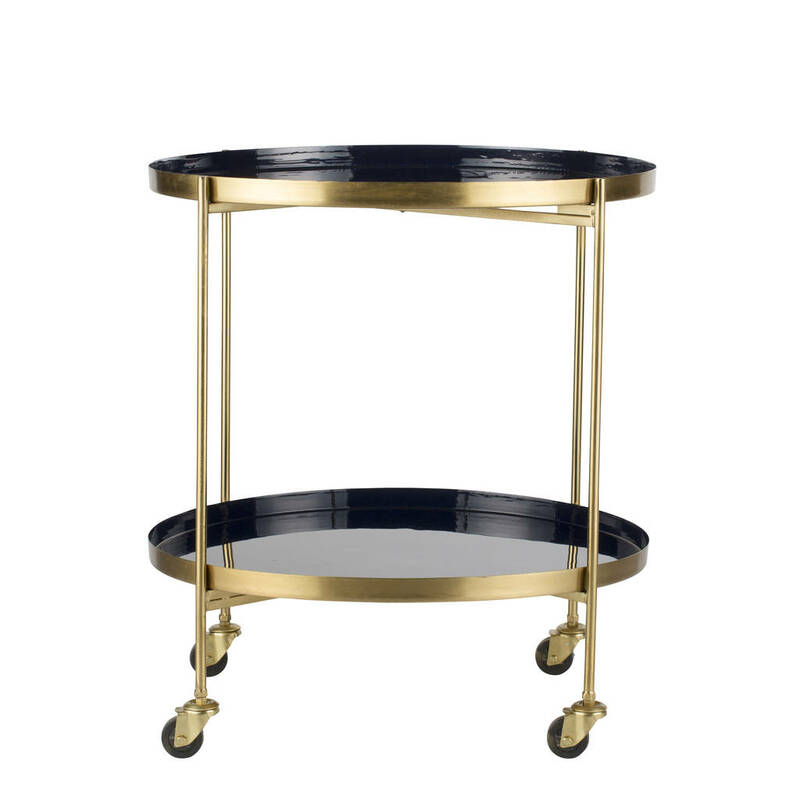 The Nara bar cart can be easily moved around, making it a useful accessory for a party. 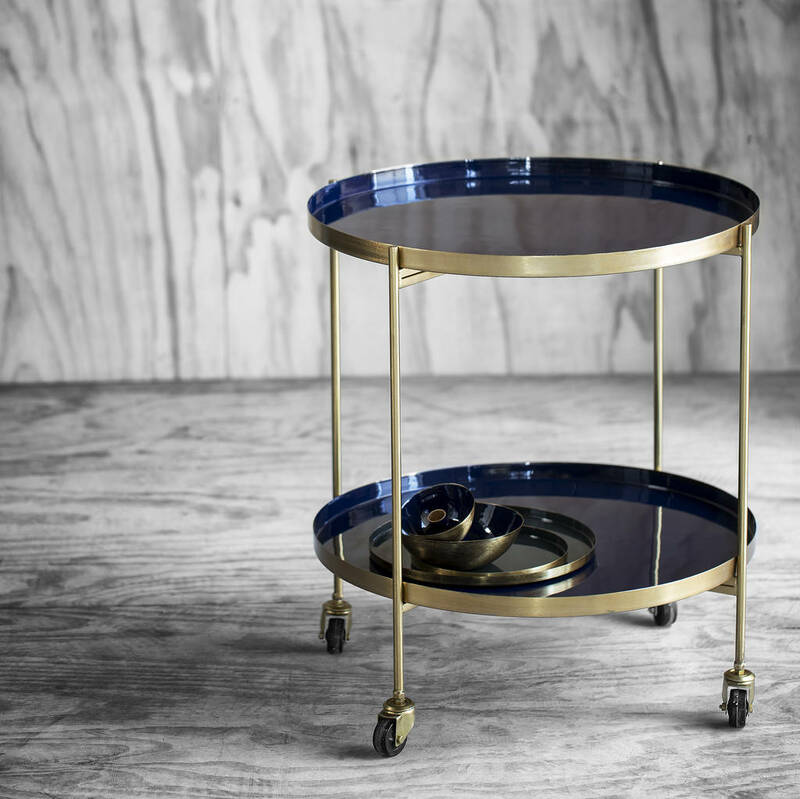 With two shiny enamel deep blue trays that can be removed complement the pale gold frame.